Elders from the Maskwacis community offer their support and encouragement to Indigenous mothers who are receiving their prenatal care at the Wetaskiwin PCN clinic. Lacey Hoffman was nervous about attending her prenatal appointments by herself. As a teen expecting her first baby, she worried that others were judging her. "It wasn't fun being the youngest one," recalled Hoffman. "I felt like people were looking at me, thinking that was sad or something like that." Now 18, Hoffman said she had the support of her mother and sister but they weren't always able to join her for appointments at the Wetaskiwin Primary Care Network. On those days, she had support from Elder Margaret Montour. "It was nice to have someone to talk to, to not be alone," Hoffman told CBC News. 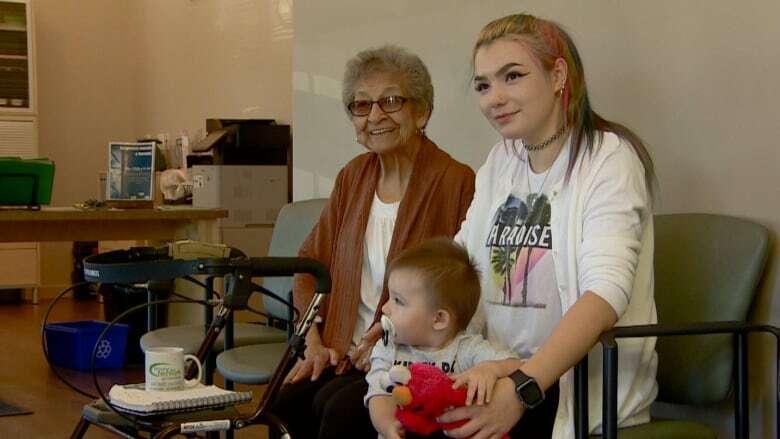 Montour has been offering support and companionship to pregnant women since 2016 as part of The Elder's Mentoring Program, a community-based program organized through a partnership between the Maskwacis community and the University of Alberta. "You have to be sure that a mother is attending her appointments," explained Montour, who is from the Samson Cree Nation in Maskwacis, about 20 kilometres south of Wetaskiwin. "That's one way that I encourage them when I sit down to talk with them one-on-one." Elder Muriel Lee, from the Ermineskin Cree Nation in Maskwacis, joined the program in 2015 when it was first established as a pilot project. "I welcomed the opportunity to contribute to the life of a mother that's expecting, that is going to bring life into this world," said Lee. "I wanted to be a part of that." Lee connects with pregnant women by sharing teachings and stories from her Cree culture. "I tell them stories that were told to me about who the child is, about raising that child in our way," she said. Lee and Montour both say that taking part in the program has been a fulfilling experience. "It makes me feel good, being acknowledged," said Montour. "I enjoy it." 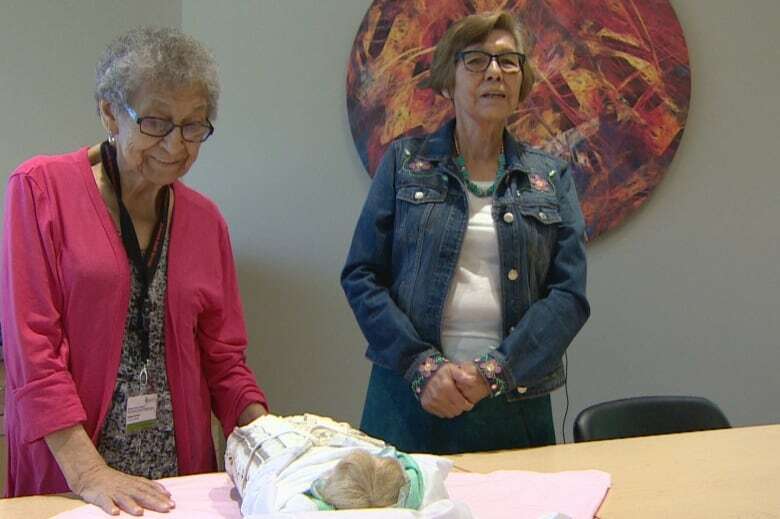 The elders offer to teach mothers about moss bags, a traditional Indigenous baby carrier that supports the baby's spine and legs while keeping the child snugly wrapped. It's a gesture that Hoffman appreciated, since she was looking for a moss bag herself. It's a tradition she wants to share with her young son Aziel. "That moss bag was honestly a lifesaver for getting him to sleep at night," she said with a laugh. Hoffman doesn't have her legal Indigenous status, but wants her son to grow up surrounded by his culture. "I just want him to be aware of it." The Elder's Mentoring Program is offered on Tuesdays and Thursdays, when obstetrician Mohammad Badawi sees his prenatal patients. He said the elders help foster better communication, which in turn leads to a greater trust between the medical team and the patients. "If we can't get information, or we can't deliver the care that we are hoping to deliver, we find that the elder is the avenue to get to that point," said Badawi. Badawi has noticed that his patients are more engaged in their prenatal care since the program has been introduced. "We saw more compliance, more followup and more adherence to health care and being seen in the prenatal course," he said. The elders have also taught the staff to be more understanding and culturally sensitive, said Badawi. The program was developed over several years of community engagement, led by U of A associate researcher Richard Oster. "Following that course, believing that if we were to build those relationships, that the program would thrive from that, I think that's been the key to our success," he said. 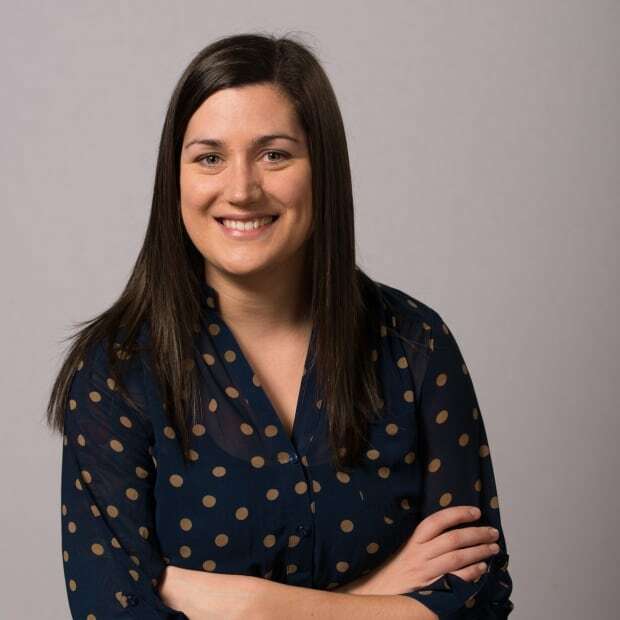 Oster's research is qualitative and looks at how culturally sensitive care leads to healthier outcomes in pregnancy and after birth. The feedback has been positive, said Oster. "This program offers a platform for enhanced support, which is exactly what we intended," he said. The program's current funding, through Alberta Innovates Health Solutions (AIHS), will run out at the end of the year. Oster is looking for other financing options to keep the program going, including the possibility of receiving funds from the PCN clinic. For Hoffman, the program's value is obvious. "It's a good idea, not just for Indigenous women but anyone who is alone in their pregnancy," said Hoffman. "It's not fun having no support, it's kind of lonely."